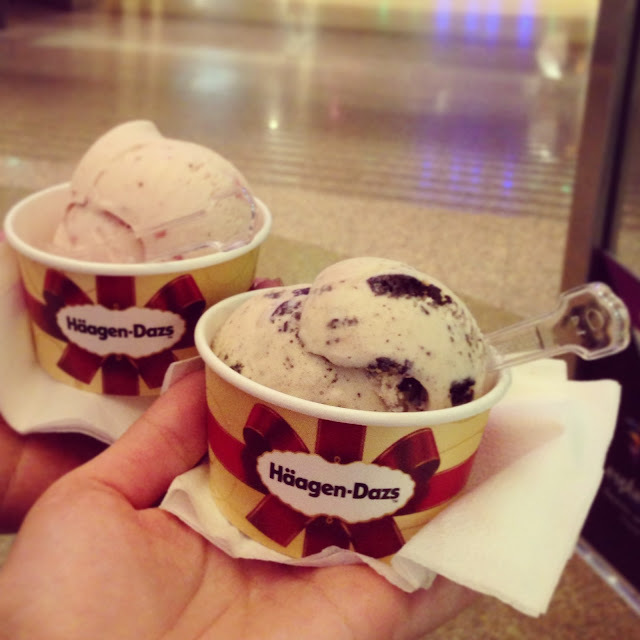 We redeemed two scoops of Häagen-Dazs ice cream at only $1 each. Promotion is by Singtel. Singtel has offers over thirty days in the month of December to celebrate Christmas. Redemption of these offers are open to everyone, not just Singtel users. There are offers for food discounts, travels, mobile phones and others. Food offers are usually snapped up within a day. Enjoy your treats at http://info.singtel.com/christmas?randkey=1355813225! Only $1 for One Scoop of Häagen-Dazs ice cream (Usual Price $5.50). Choose any flavor of your choice today! Selection includes - Macadamia Nut, Belgian Chocolate, Cookies & Cream, Vanilla and Strawberry. Flavors are subject to availability. Present e-voucher to enjoy your treat now! Offer is limited to 2 redemptions per user.